SEOUL -- General Motors workers in South Korea forced their way into company executive offices, destroying and removing furniture, shortly after the automaker’s local unit told employees that there will be no bonuses due to a cash crisis. A video posted on YouTube showed about a dozen union members storming the CEO’s office in Incheon on Thursday, kicking and throwing chairs before removing a large desk. 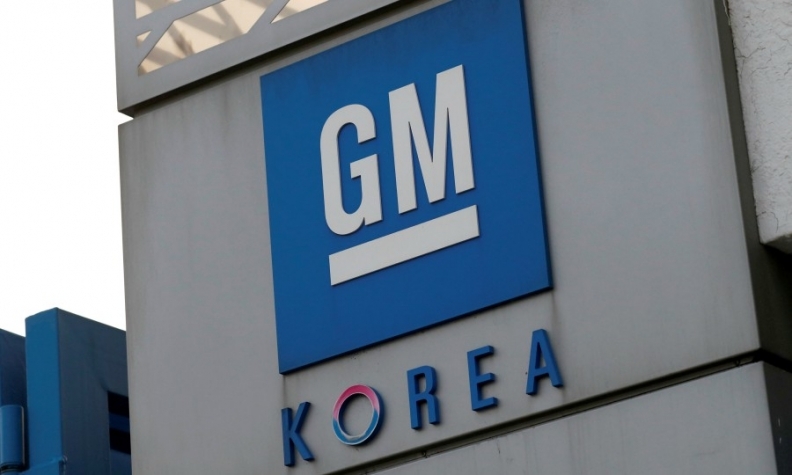 The union, whose representative could not be reached for comment, was protesting the company's decision and urged the CEO to resign, according to GM Korea's spokesman. Separately, the company confirmed in a statement what it called a "violent incident" at its executive offices that "resulted in significant damage to company property." GM, which is seeking concessions from the union to revive its South Korean business after mounting losses, has proposed a $2.8 billion new investment plan and a $2.7 billion debt-for-equity swap to turn around the unit. After threatening to exit the country altogether earlier, the subsidiary last month said it intends to file for bankruptcy if the union fails to agree to a restructuring plan, putting pressure on employees and the government to help it stay afloat. The incident was reported to the police, the company said, adding that it will take legal action against the workers.